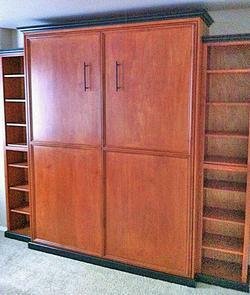 A vertical queen bed with bookcases. Four panel design on face. Finished in Cherry wood stain and a black ebony stain on crown and base moulding.